Grip Digital and Terrible Posture Games have announced that the first major update for their FPS bullet-hell Mothergunship has been released. Players will now be able to fight the data-hoarding alien robots alongside their friend and bring down the Mothergunship together with added co-op mode. Also added are three new mobs from the bomb bot family, new rooms, an increased inventory limit and re-balanced endgame, plus bug fixes, balance adjustments, and more. 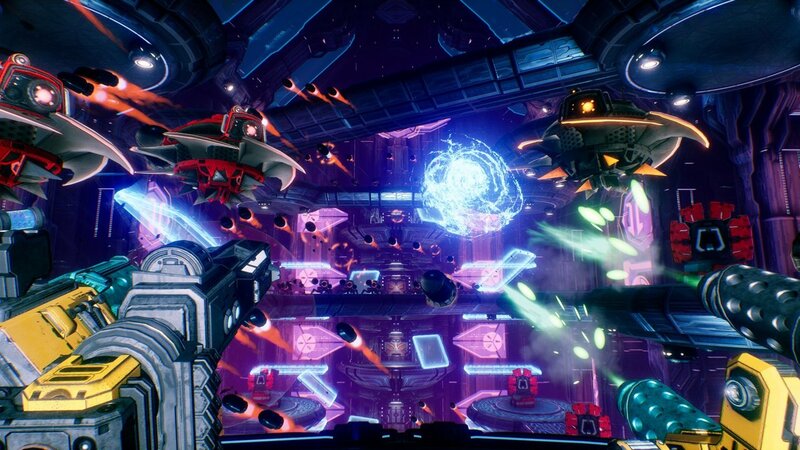 Mothergunship was released a few weeks ago for PC, Xbox One, and PS4. Mothergunship is ranked #1263 out of 1434 total reviewed games. It is ranked #129 out of 146 games reviewed in 2018.